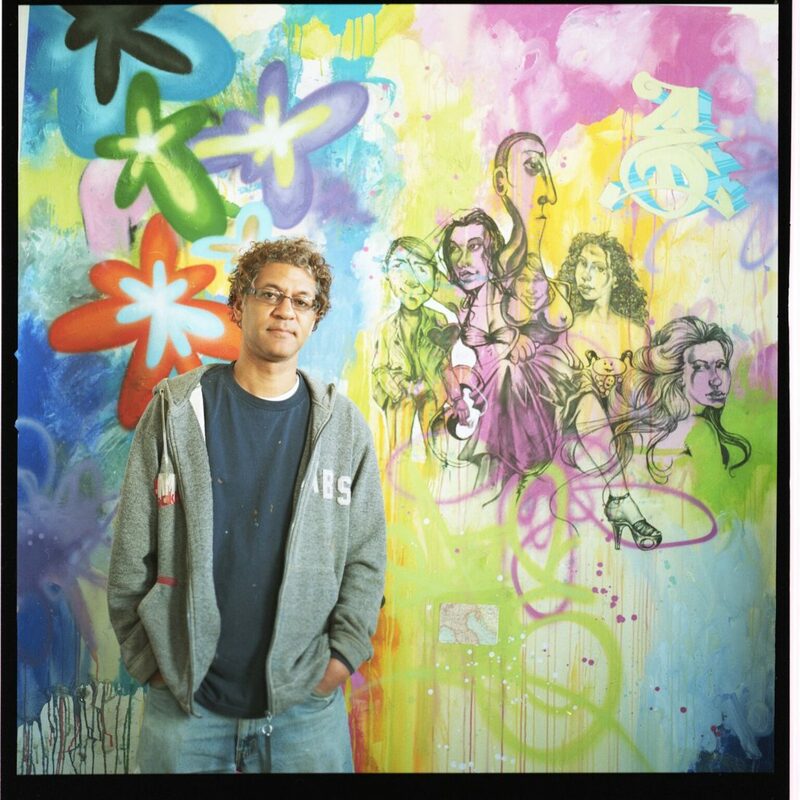 Chris Daze Ellis began his prolific career painting the gritty New York subways in-the mid 70!s while attending the High School of Art & Design. He is one of thefew artists from that period to make the successful transition from the subways to-the studio. His first group show was the “Beyond Words” show held at the Muddclub in New York in 1981. Showing alongside artists such as Jean MichelBasquiat and Keith Haring, Daze sold his first work, an impromptu collaboration with Basquiat, from this show. His first solo show was held a year later in 1982 atFashion Moda, a gallery in the Bronx. Since then he has had countless soloshows in such cities as Monte Carlo, Hong Kong, Paris, New York, Beijing,Chicago, and Singapore. His work has also been included in numerous group shows and museum surveys internationally. Alongside these museum and gallery exhibitions Daze has also completed many public art projects over the years. Some of them include completing a mural for the Star ferry terminal inHong Kong, lectures at Hofstra university and the Bronx Museum, completing the design of an entire train station in Hannover, Germany alongside fellow artistsLee Quinones and Crash, youth workshops with kids during the Hutuz festival inRio de Janeiro, and completing a mural for the Vivo City shopping center inSingapore. Daze!s paintings have found themselves in the private collections ofMadonna, and Eric Clapton among others. His work can be found in the permanent collections of such museums as The Museum of Modern Art in NewYork, The Brooklyn Museum, The Museum of the City of New York, TheGroninger Museum in the Netherlands and The Ludwig Museum in Aachen Germany. Daze continues to live and work in New York City.